After wearing out his knees with basketball and running, Michael O'Reilly became yet another Mamil (Middle-Aged Man In Lycra). A visit to most western European countries is like a religious experience for an Australian cyclist. I’ve just come back from a couple of weeks on the continent, including 10 days of cycle touring in the French Alps and a few days biking around the densely populated centre of Geneva. Cycling is seen by many as an act of bravery in Australia, so it always amazes me to see how bicycles are an integral part of society in places like France, Germany, the Netherlands and Scandinavia. For everyone from dainty grandmothers through beefy blokes and stylish office workers to street punks and squads of schoolchildren, a bike is what it should be - simply a handy, inexpensive way of getting from A to B and back again. As a result, there is an almost palpable culture of cycling acceptance. 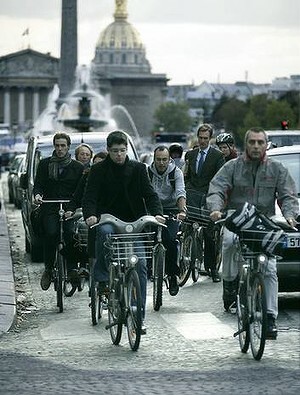 The French are hardly saints on the road – I saw some serious hooning at times – but the cyclist is a protected species. In some 700 kilometres of cycling, I was never threatened, crowded off the road or hooted at, even though I held up a fair few cars when I was lumbering along laden with panniers. In Australia, cycling is too often cast as a political act. Talkback hosts get into the ear of frustrated motorists, demanding that cyclists be registered – as if that’s going to clear our clogged “free”ways. Conservative politicians and tabloid media organisations rail against cycling infrastructure and cycling in general, knowing that this will play well with their audiences. It’s cynical and it foments dangerous hostility towards other road users. We are being played – and in a country where more bicycles than cars are sold every year, we should be able to see through the manipulations and lies. 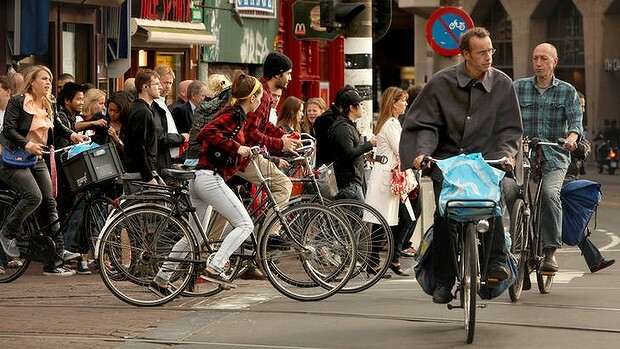 Many European cities, such as Amsterdam, have been pretty much redesigned with the bicycle in mind. I’m not sure that this will ever happen in Australia – but just a bit of enabling infrastructure can have a significant positive effect, giving hesitant cyclists a safe conduit in and out of our cities. Sydney’s cycleways, which have been falsely blamed for increasing congestion, are hugely popular even though the first stage is only partly built. I wonder whether the naysayers are working so hard to prevent this initial completion because they know that the floodgates will then truly open. Undoubtedly the most divisive issue in Australian cycling. Euros tend to treat cycling helmets in the same way as we treat car helmets – if you’re kitted up and planning to go as fast as you can, you put a helmet on; if you’re nipping down to the corner shop, you probably don’t. After 20 years, helmet laws have done little to decrease the rate of injury, while significantly discouraging people from cycling. I’m reluctant to say much more, lest we get into the eternal debate, but I’ll leave MHL fans with two things to ponder: firstly, no one will stop you from wearing a helmet if you want to; and secondly, is it really the case that Australia and New Zealand are right and the other 99 per cent of the world is wrong? Seriously? Have you travelled lately? The Netherlands wasn’t always a cycling paradise. According to this interesting documentary, it took a concerted campaign to calm their streets. The angle was a winner, however – “stop the child murder”. Who can argue with that? Indeed, there was a time in Australia when we worried about our children cycling to school. But instead of making the roads safer, we just took our kids off the road. It was a retrograde step. Roads that are safer for cyclists are also safer for pedestrians, children and, yes, motorists too. Even politicians shouldn’t be allowed to argue about that. Is a European cycling culture possible in Australia? What can be done to achieve this goal? Why aren't more kids cycling to school?